In My fave products - reviewed, Random thoughts! I’ve already had my summer holiday, which is just bloomin’ unfair! It’s a distant memory and it’s only June 😢 But it was great!! 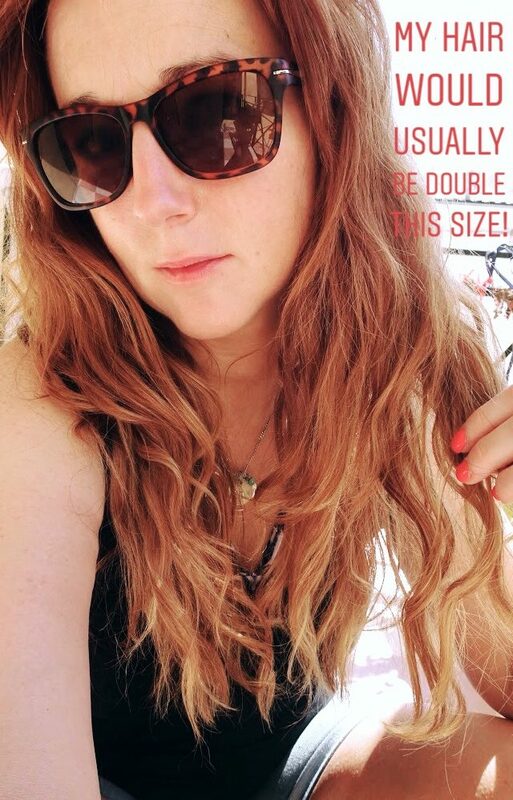 And luckily for you lot, I now have all the tips for your holiday hair! I am totally lazy when it comes to my holiday hair. I cannot be dealing with spending time on my mop when It’s too hot and I’m holiday-ing! I pack my GHD so I can tame my fringe and ends and then it’s products and clever styling all the way. Pre holiday – I get a good blow dry the day before my holidays so I at least feel human on arrival!! And then I avoid water for at least day one!! This is not essential obvs, most people love an aul swim, but I don’t so this works for me!! Also my hair lasts really well so I can get away with this! 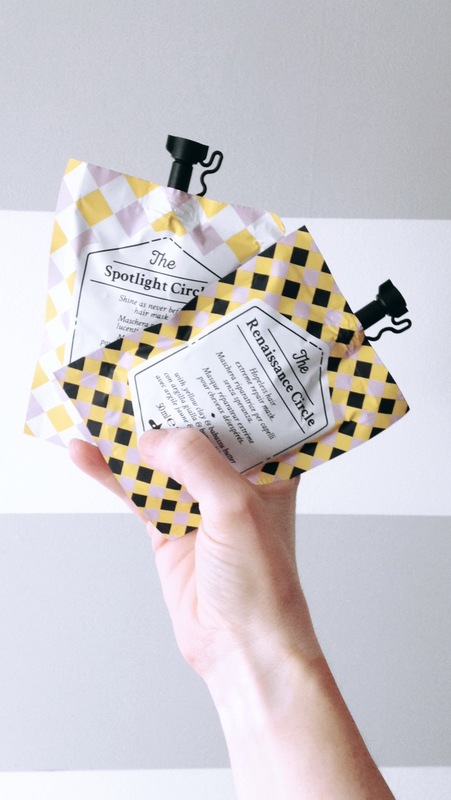 Daytime rituals – for the beach or pool days I’ll wash my hair and leave a good treatment in it. This year I’m loving these Davines pouches, so handy for travelling only a tenner! I’ll crown braid or do two dutch braids once it’s in and head off for the day. This keeps the sun from totally drying out your hair and keeps your braids tidy – Win win!! You can mix and match these guys, so put one on the root and a different one on the ends, which I loved! My ends are so dry but I don’t want to moisturise the roots too much so I went for the purifying one on the scalp. Another regular holiday look for me is the good ol’ top knot, you can see how I do mine here. I love the look of a topknot and you can leave your treatment in with this one too. Add a scarf or bandana if you holiday in a location that needs a bitta style. If, like me, you’re with your kids in tummy control swimwear the topknot will do just fine! So, thats daytime sorted but what about the evenings. If your planning to go ‘out out’ on the hols or just want to look a bit less… daytime! Evening schtyling – The problems really start when I want to wear my hair down. Because of its naturally frizzy texture (did I mention I have frizzy hair!) I would never wear my hair down at home unless it was blowdried. And that’s just not happening while I’m away, can’t be bothered… I tried numerous ‘dry naturally’ products over the years and haven’t really found one that works for me. 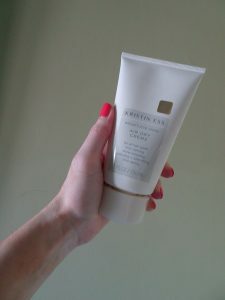 This year I spotted this air dry cream, by Kristen Ess and thought it might be worth a shot. And would you believe…It worked! *See pic above! I applied it to towel dried, brushed through hair and left it to do its own thing. Brought a bobbin on my wrist as I presumed I’d be top knotting within the hour! But NO! I used double the recommended amount , as I’ve double the average amount of hair and I twisted some pieces from the top layer around my finger to keep it together. It kept my natural wave and didn’t end up frizzy. It also wasn’t crunchy which I liked. When my hair was dry I ran the GHD over my fringe to tame it and voila! That was it! I had planned to document my hair styles as the week went on, take some pics of me staring off in to the distance or at something on the ground to my left, but, as you may have heard from my insta stories, I dropped my phone down the loo!!! So… I got that one shot above and then I relaxed and read 3 books instead! It was bliss. You’ll just have to take my word for it, this years holiday hair wasn’t half bad!! PRODUCTS REVIEWED : CATEGORY EXPLAINATION!